Here are some activities that past Linworth students and staff have pursued. Art House was a yearly event at which students were given the opportunity to showcase their artistic talents as well as musical and theatrical abilities. The rooms of Linworth were transformed into art galleries filled with the work of Linworth students. The Big Room turned into a coffee-house type performance area where students perform short skits, monologues, poetry readings, and musical selections. All Linworth students were invited to submit work to or perform at Art House, and the event was open to the public. Proceeds from the event were donated to the Linworth Experience Fund. Under the direction of former Linworth science teacher Carol Landis, students and parents constructed three tall structures east of the building. These structures serve as nesting towers for chimney swifts, migratory birds that are native to central Ohio. Each spring the chimney swifts return north from overwintering in Peru, taking up residence in Linworth’s towers. During their stay in the towers, Linworth students monitored the birds and gathered data about their activity. This project was funded with help from the Parent Board and a grant from the Center for Environmental Education in Antioch, NE. We have asked that the district discontinue spraying on this property, and agreed to maintain the appearance around the areas where spray would have been used. The signs notifying the public of the use of pesticides on Linworth property were taken down after this agreement was reached. Former Linworth science teacher Carol Landis coached 6 teams of AP students who competed in the National Ocean Sciences Bowl competition at the University of Michigan in Ann Arbor. Currently, Linworth is no longer fielding a NOSB team, though they have several times in the past. The 2004 and 2005 NOSB teams placed first in the regional competition. 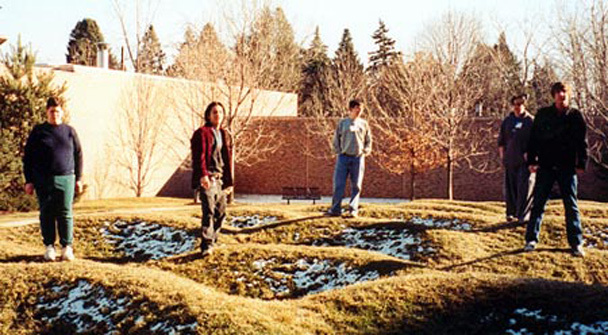 The 2005 NOSB team went on to place ninth in the national competition.